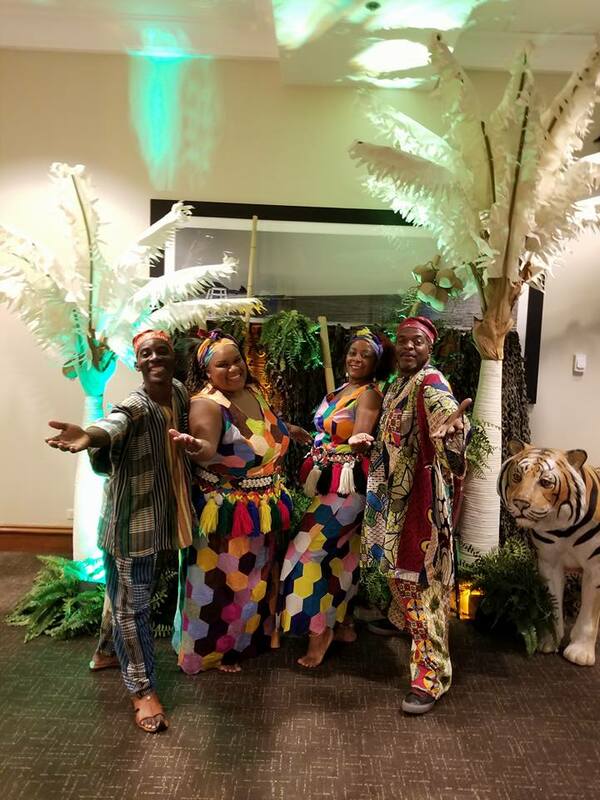 We are a performance group that specialize in traditional and authentic African culture through the mediums of dance, music, song, spoken word, and theater. We also provide services in Caribbean cultural dance and music. Our dance choreography is accompanied by live drum music and authentic costuming. Had the pleasure of booking Kruccus International for a huge donor event hosted by World Bicycle Relief! These gentlemen were purely amazing! Very professional, timely, and they truly were able to capture the exact mood we were hoping for. They helped elevate the room and exceeded every expectation we had. Will definitely book them again!!!! Kruccus International Put on an amazing performance! Mark is a patient, talented performer and very professional. He and his dancer's energy together was very engaging for intimate crowd! They helped complete the vision we wanted at our party and did a great job! Everyone really enjoyed their performance. SIMPLY SIMPLY BEAUTIFUL. I would recommend Kruccus International to everyone. Thanks once again for blessing us with your talent. I highly recommend Kruccus International. They had so much energy and our students had so much fun interacting with them the whole assembly. We really enjoyed all the different aspects of the performance and would definitely book them again. If you get a chance to book Kruccus International for your school assembly, you won't regret it. Thank you so much to all the performers, we had such a great time! Thank you so very much Danika Hojnacki. We at Kruccus International were honored to be invited to perform at you school. The students were very responsive, engaged and enthusiastic,and the staff was great from start to finish. We truly enjoyed performing for the students and staff. The experience was phenomenal. We look forward to coming there again. All the best to you, the staff and students of Mount Olive School. Very moving, educational and interactive! Mr. Vaughn and his company were great! The group consisted of Mr. Vaughn, a drummer and a lady that danced! She had so much energy that the students were in awe! Mr. Vaughn and the other gentlemen were outstanding drummers. Students were chosen to take part in some dancing and they had a great time. Mr. Vaughn taught the students different phrases to sing while he drummed and the students were so excited to be part of the song. The group was outstanding and really moved the audience. I would like to have had the whole 45' be the more interactive part and the last 15' be a question and answer rather than 30' of entertainment and 15' of questions! All in all, I would definetly ask Mr. Vaughn and his company to come back to our school being that all of the students have disabilities and the students and staff absolutely enjoyed this event! The group was wonderful and had the kids very engaged. We hired them of our elementary school K-5 for 5 lunch time performances. What a show! It was full of fun, educational and all around great. Mark was very professional and very proud to teach us the African culture and bring the experience to us! Definitely recommended!! Thank yo so much Nina. It was truly a pleasure and an honor performing for you and your guests. We enjoyed the experience. They had 3 performers that were very entertaining and educative. They also interacted and engaged the audience which was very good. We will definitely consider Kruccus International to come perform at our school again! It was indeed a pleasure to perform for the students and faculty at Illinois Wesleyan University. The audience was wonderful and very responsive. We look forward to going there again if invited. Kruccus is a group that I would definitely have again come to my school. They were professional and courteous. 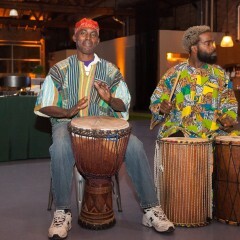 The group dressed up for the event in African clothing and had brought two types of drums. There was even a dancer who sang and danced. They got the audience involved and even taught a few dance moves after! 100/100! 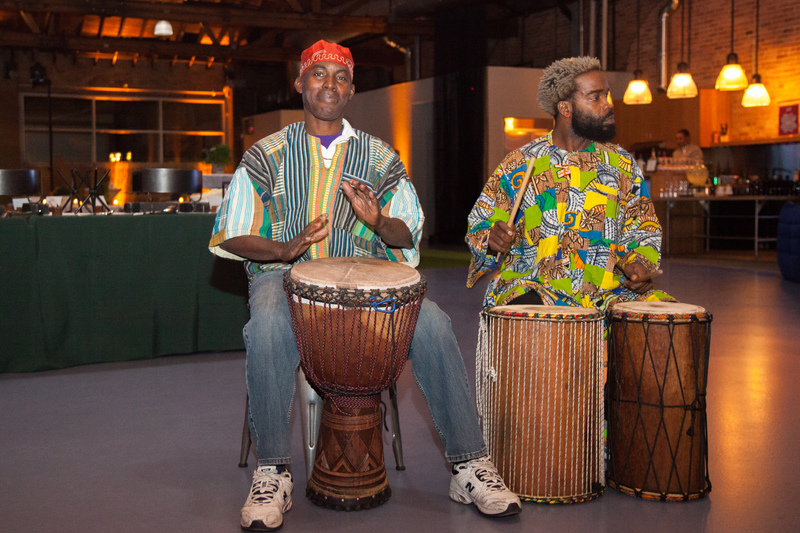 Whether we are performing Traditional African dance and music or Caribbean culture, an audience member can expect to be transported to Africa or the Caribbean through our performances. He or she will leave the performance having a little more knowledge and appreciation for the culture, the people and the region. Kruccus International is a performing and visual arts company, dedicated to the preservation and presentation of Traditional African and Caribbean culture through the mediums of dance, music, song and theater. We also have a component of the company that specialize in the production of custom-made drums, costumes and crafts. Kruccus International performs at all kinds of events, including weddings, parties, ceremonies, birthdays, graduations, festivals, school assemblies and more. 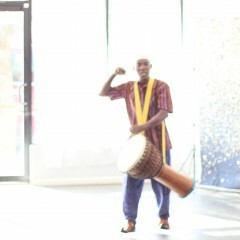 We also provide lecture demonstrations, and workshops in dance and (or) drum. 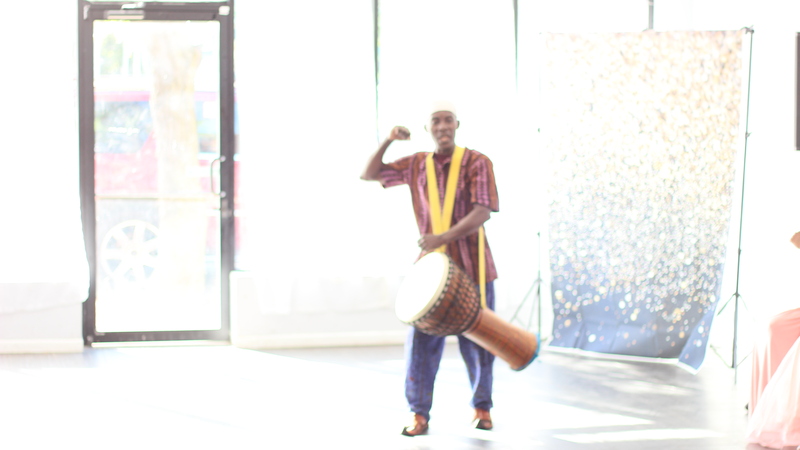 Our performances are usually accompanied by live drum music and authentic costumes from Africa, the Caribbean, North America and other places. The company is made up of dynamic and professional artists who are highly accomplished in their field, and who have many years of experience.Our performances are highly energetic, electrifying, engaging, educational and can be adapted to suit any type of audience. In keeping with our desire to not only entertain but educate, we like to design our performances so as to include "Audience Participation"where we engage the audience in a style of performing called "call and response." In this way, people in the audience are not just sitting there as observers, but become part of the performance. 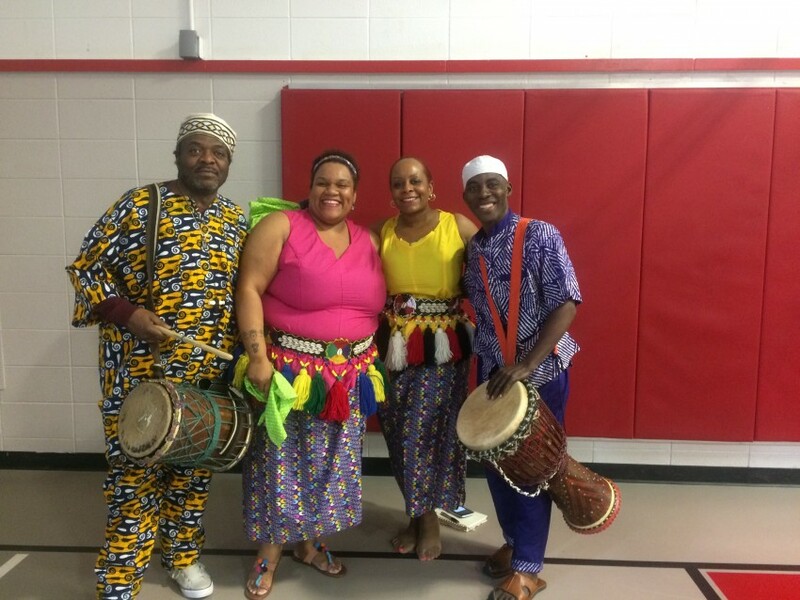 Our group has been influenced by performances by National dance companies of Guinea, and Senegal, as well as Instruction in dance and music from numerous teaches from West and South Africa, Cuba, South and North America and the Caribbean.